We follow the people who walk through the GR10 (this famous Pyrenees crossing from west to east, or the other way round) and who want to walk light, without any backpacks. Everyday, we deposit their luggage in the next hotel, after having hiked, the group can find their stuff in the logging. Some logging (high mountain refuge) are not accessible by car. In this case, each one has to take what is necessary for 1 night in a refuge, and will find his luggage again the next evening. 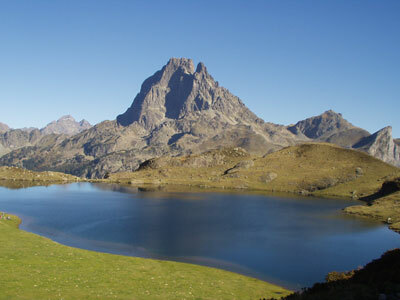 You can also imagine a few days’ hiking trip,and we drive you from one village to a pass or to the departure of a path. You can imagine everything, everything is possible..
We are used to work with groups, but if you are on your own, don’t hesitate to ask us for fares.to ask us for fares..
You are on your own, in couple or part of a group, you would like to walk the Way of St James but you are not fit enough to do it or don’t have time enough to finish this long way up: we suggest you a package composed of some hiking, cultural and touristic visits on the way for the Camino Francés, the Camino del Norte and La Via de la Plata. 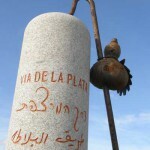 We organised this itinerary tour together with Chemin de France , tourism agency: www.chemins-de-france.com. ou can contact Brigitte to have more details or informations about the program, fares or availability. 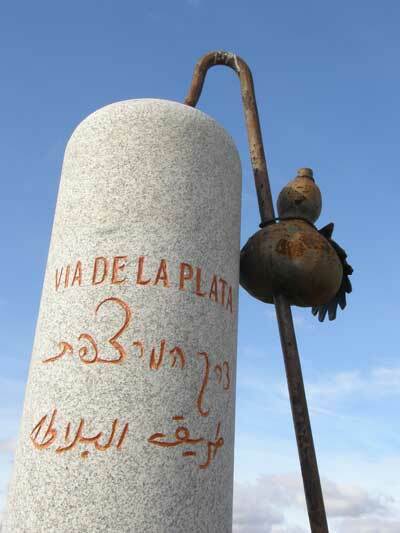 For 10 days, you will walk along this historic track from St Jean Pied De Port til Santiago de Compostella. Every day, you walk a dozen kilometers out of the nine most beautiful stages we chose for their landscape and historic or/and cultural aspects. 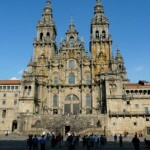 After the walk done, our van picks you up and drives you out to the sites that cannot be ignored on the Camino: historic cities-steps, churches, monasteries, museeums) and then gets you back to your accomodation. The accomodation is done in two-stars hotels, and breakfast is included. 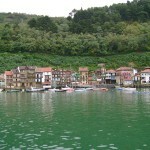 Stays with a driver-coordinator and a van (for five to eight people maximum). 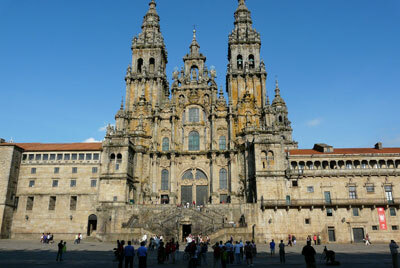 It is the same principle as for the French Camino, with a departure from St Jean de Luz. 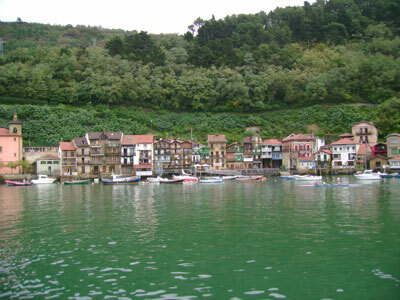 This way, which is very different from the Camino, will show you the wild coasts of the Basque Country and the Cantabrie, and some fishermen’s ports and tiny villages in the mountains of Asturias, lovely forests of Galicia. The route is longer, 1100km, so the trip lasts 11 days. This trip offers a great difference and something unusual. The calm of Extremadura, the beauty of Andalusia, the marvelous old building of Caceres or Salamanca, bulls in freedom, tiny mountain villages and a varied climate make this an unforgettable stay. 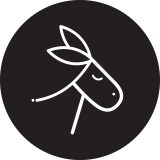 This entry was posted in featured-en, Non classé. Bookmark the permalink.